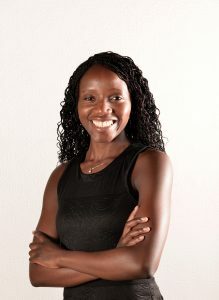 I am very happy to welcome Opinio Juris 2.0’s first guest blogger: Angela Mudukuti, a Zimbabwean international lawyer who currently works for the Wayamo Foundation. Angela focuses on enhancing the domestic capacity of African prosecutors and investigators to investigate and prosecute core international crimes. She previously worked for the superb Southern Africa Litigation Centre (SALC) in South Africa, where she was involved with precedent-setting cases concerning crimes against humanity before the Constitutional Court and helped take the South African government to court for failure to arrest President Bashir of Sudan. Prior to joining SALC, Angela worked for the Immediate Office of the Prosecutor at the ICC and under the supervision of the late Prof. Cherif Bassiouni at the Siracusa International Institute for Criminal Justice and Human Rights in Italy. Angela has written extensively on international criminal law and has been featured in the Financial Times, The Guardian, the BBC, Reuters and Al Jazeera. Angela will be with us for a month — and hopefully longer. Her first post will go up later today.